In 1934 he was involved in a controversy known as the Business Plot when he told a congressional committee that a group of wealthy industrialists had approached him to lead a military coup to overthrow Franklin D. Roosevelt. The individuals that were involved denied the existence of a plot, and the media ridiculed the allegations. The final report of the committee stated that there was evidence that such a plot existed, but no charges were ever filed. The opinion of most historians is that while planning for a coup was not very advanced, wild schemes were discussed. 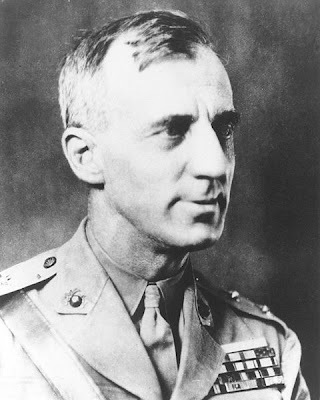 Smedley Butler was born July 30, 1881, in West Chester, Pennsylvania, the eldest of three sons. His parents Thomas Stalker Butler and Maud (Darlington) Butler were descended from local Quaker families. His father was a lawyer, a judge and, for 31 years, a Congressman and chair of the House Naval Affairs Committee during the Harding and Coolidge administrations. His maternal grandfather was Smedley Darlington, a Republican Congressman from 1887-1891. Butler attended the West Chester Friends Graded High School, followed by The Haverford School, a secondary school popular with sons of upper-class Philadelphia families. A Haverford athlete, he became captain of its baseball team and quarterback of its football team. Against the wishes of his father, he left school 38 days before his seventeenth birthday to enlist in the Marine Corps during the Spanish–American War. Nevertheless, Haverford awarded him his high school diploma on June 6, 1898, before the end of his final year; his transcript stated he completed the Scientific Course "with Credit". The Marine Corps now sent him to the Manila, Philippines. On garrison duty with little to do, he turned to alcohol to relieve the boredom. He once became drunk and was temporarily relieved of command after an unspecified incident in his room. After the excitement of this combat, garrison duty again became routine. Butler had a very large Eagle, Globe, and Anchor tattoo made which started at his throat and extended to his waist. He also met Littleton Waller a fellow Marine with whom he maintained a life long friendship. When Waller received command of a company in Guam, he was allowed to select five officers to take with him; he chose Butler. Before they had departed, their orders were changed and they were sent to China aboard the USS Solace to help put down the Boxer Rebellion. Butler participated in a series of occupations, police actions, and interventions by the United States in Central America and the Caribbean, commonly called the Banana Wars because their goal was to protect American commercial interests in the region, particularly those of the United Fruit Company. This company had significant financial stakes in the production of bananas, tobacco, sugar cane, and other products throughout the Caribbean, Central America and the northern portions of South America. The U.S. was also trying to advance its own political interests by maintaining its influence in the region and especially its control of the Panama Canal. These interventions started with the Spanish–American War in 1898 and ended with the withdrawal of troops from Haiti and President Franklin D. Roosevelt's Good Neighbor Policy in 1934. After his retirement, Butler became an outspoken critic of the business interests in the Caribbean, criticizing the ways in which U.S. businesses and Wall Street bankers imposed their agenda on United States foreign policy during this period. In 1903, Butler was stationed in the Caribbean on Culebra Island. Upon rumors of a Honduran revolt, the United States government ordered the Marines and a supporting naval detachment to sail to Honduras, 1,500 miles (2,414 km) to the west, to defend the U.S. Consulate in Honduras. Using a converted banana boat renamed the Panther, Butler and several hundred Marines landed at the port town of Puerto Cortés. In a letter home, he described the action: They were "prepared to land and shoot everybody and everything that was breaking the peace", but instead found a quiet town. The Marines re-boarded the Panther and continued up the coast line looking for rebels at several towns, but found none. When they arrived at Trujillo, however, they heard gunfire, and came upon a battle in progress that had been waged for 55 hours between the Bonillistas and the Honduran soldiers at a local fort. At the sight of the Marines, the fighting ceased and Butler led a detachment of Marines to the American consulate, where he found the consul, wrapped in an American flag, hiding among the floor beams. As soon as the Marines left the area with the shaken consul, the battle resumed and the Bonillistas soon controlled the government. During this expedition Butler earned the first of his nicknames, "Old Gimlet Eye". It was attributed to his feverish, bloodshot eyes—he was suffering from some unnamed tropic fever at the time—which enhanced his penetrating and bellicose stare. Between the Honduran campaign and his next assignment, he returned to Philadelphia. He married Ethel Conway Peters of Philadelphia in Bay Head, New Jersey on June 30, 1905. His best man at the wedding was his former commanding officer in China, Lieutenant Colonel Littleton W. T. Waller. The couple would have three children: a daughter, Ethel Peters Butler, and two sons, Smedley Darlington, Jr. and Thomas Richard. 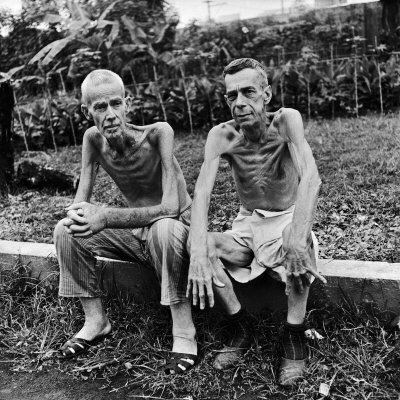 After the Honduras campaign, Butler was assigned to garrison duty in the Philippines, where he once launched a resupply mission across the stormy waters of Subic Bay after his isolated outpost ran out of rations. He was diagnosed as having a nervous breakdown in 1908, and received nine months sick leave for which he returned home. He found work as a coal miner in West Virginia, but did not find mining to his taste, and returned to active duty in the Marine Corps. From 1909 to 1912, he served in Nicaragua, enforcing U.S. policy, and once again led his battalion to the relief of a rebel-besieged city, this time Granada, and again, with a 104-degree fever. In December 1909, he commanded the 3d Battalion, 1st Marine Regiment, on the Isthmus of Panama. On August 11, 1912, he was temporarily detached to command an expeditionary battalion with which he participated in the bombardment, assault and capture of Coyotepe Hill, Nicaragua in October 1912. He remained in Nicaragua until November 1912, when he rejoined the Marines of 3d Battalion, 1st Marine Regiment, at Camp Elliott, Panama. Butler and his family were living in Panama in January 1914 when he was ordered to report as the Marine officer of a battleship squadron massing off the coast of Mexico, near Veracruz, to monitor a revolutionary movement. He did not like leaving his family and the home they had established in Panama and he intended to request orders home as soon as he determined he was not needed. On March 1, 1914, Butler and Admiral Frank Fletcher went ashore in Veracruz and made their way to Jalapa, Mexico and back. A purpose of the trip was to allow Butler and Fletcher to discuss the details of a future expedition into Mexico. Fletcher's plan required Butler to make his way into the country and develop a more detailed invasion plan while inside its borders. It was a spy mission and Butler was enthusiastic to get started. When Admiral Fletcher explained the plan to the commanders in Washington, D.C., they agreed to it. Butler was given the go-ahead. He entered Mexico and made his way to the U.S. Consulate in Mexico City, posing as a railroad official named "Mr. Johnson". He and the chief railroad inspector scoured the city, saying they were searching for a lost railroad employee; there was no lost employee, and in fact the employee they said was lost never existed. The ruse gave Butler access to various areas of the city. In the process of the so-called search, they located weapons in use by the Mexican army, and determined the sizes of units and states of readiness. They updated maps and verified the railroad lines for use in an impending US invasion. On March 7, 1914, he returned to Veracruz with the information he had gathered and presented it to his commanders. The invasion plan was eventually scrapped when authorities loyal to Victoriano Huerta detained a small American naval landing party in Tampico, Mexico, which became known as the Tampico Affair. In 1915, rebel Haitians known as Cacos killed the Haitian dictator Vilbrun Guillaume Sam. In response, the United States ordered the USS Connecticut to Haiti with Major Butler and a group of Marines on board. On October 24, 1915, 400 Cacos ambushed Butler's patrol of 44 mounted Marines when they approached Fort Dipitie. The Marines maintained their perimeter throughout the night. The next morning, they charged the much larger enemy force from three directions. The startled Haitians fled, thinking that the Marines had a much larger force. By mid-November 1915, most of the Cacos had been captured or killed and the insurgency generally suppressed, except for a small force of 200 Cacos at Fort Rivière, an old French-built stronghold deep in the country. Fort Rivière sat atop Montagne Noire, with its front reachable only by a steep, rocky slope; the other three sides fell away so sharply that an approach from those directions was considered to be impossible. Some Marine officers argued that it should be assaulted by a regiment supported by artillery, but Butler convinced his colonel to allow him to attack with just four companies of 24 men each, plus two machine gun detachments. Subsequently, as the initial organizer and commanding officer of the Haitian Gendarmerie, the native police force, Butler established a record as a capable administrator. Under his supervision, social order, administered by the dictatorship, was largely restored and many vital public works projects were successfully completed. He recalled later that, during his time in Haiti, he and his troops "hunted the Cacos like pigs." During World War I, to his disappointment, Butler was not assigned to a combat command on the Western Front. He made several requests for a posting in France, writing letters to his personal friend, Major General Wendell Cushing Neville, who was at the time assistant to the then Commandant of the Marine Corps, Lieutenant General John A. Lejeune. While Butler's superiors considered him brave and brilliant, they described him as "unreliable." In October 1918, he was promoted to the rank of brigadier general at the age of 37 and placed in command of Camp Pontanezen at Brest, France, a debarkation depot that funneled troops of the American Expeditionary Force to the battlefields. The camp had been plagued by horribly unsanitary, overcrowded and disorganized conditions. U.S. Secretary of War Newton Baker sent novelist Mary Roberts Rinehart to report on the camp. She later described how Butler tackled the sanitation issues. Butler began by solving the mud problem: "[T]he ground under the tents was nothing but mud, [so] he had raided the wharf at Brest of the duckboards no longer needed for the trenches, carted the first one himself up that four-mile hill to the camp, and thus provided something in the way of protection for the men to sleep on." General John J. Pershing authorized a duckboard shoulder patch for the units. This earned Butler another nickname, "Old Duckboard." For his exemplary service he was awarded the Distinguished Service Medal of both the United States Army and Navy and the French Order of the Black Star. Following the war, he became Commanding General of the Marine Barracks at Marine Corps Base Quantico, Virginia. At Quantico, he transformed the wartime training camp into a permanent Marine post. During a training exercise in western Virginia in 1921, he was told by a local farmer that Stonewall Jackson's arm was buried nearby, to which he replied, "Bosh! I will take a squad of Marines and dig up that spot to prove you wrong!" Butler found the arm in a box. He later replaced the wooden box with a metal one, and reburied the arm. He left a plaque on the granite monument marking the burial place of Jackson's arm; the plaque is no longer on the marker but can be viewed at the Chancellorsville Battlefield visitor's center. From 1927 to 1929, Butler was commander of the Marine Expeditionary Force in China and, while there, cleverly parlayed his influence among various generals and warlords to the protection of U.S. interests, ultimately winning the public acclaim of contending Chinese leaders. When Butler returned to the United States in 1929 he was promoted to major general, becoming, at age 48, the youngest major general of the Marine Corps. He directed the Quantico camp's growth until it became the "showplace" of the Corps. Butler won national attention by taking thousands of his men on long field marches, many of which he led from the front, to Gettysburg and other Civil War battle sites, where they conducted large-scale re-enactments before crowds of distinguished spectators. In 1931, he publicly recounted gossip about Benito Mussolini in which the dictator allegedly struck a child with his automobile in a hit-and-run accident. The Italian government protested and President Hoover, who strongly disliked Butler, forced Secretary of the Navy Charles Francis Adams III to court-martial him. Butler became the first general officer to be placed under arrest since the Civil War. He apologized to Secretary Adams and the court martial was canceled with only a reprimand. At the urging of Butler's father, in 1924, the newly elected mayor of Philadelphia W. Freeland Kendrick asked him to leave the Marines to become the Director of Public Safety, the official in charge of running the city's police and fire departments. Philadelphia's municipal government was notoriously corrupt and Butler initially refused. Kendrick asked President Calvin Coolidge to intervene. Coolidge contacted Butler and authorized him to take the necessary leave from the Corps. At the request of the President, Butler served in the post from January 1924 until December 1925. He began his new job by assembling all 4,000 of the city police into the Metropolitan Opera House in shifts to introduce himself and inform them that things would change while he was in charge. He replaced corrupt police officers and, in some cases, switched entire units from one part of the city to another, undermining local protection rackets and profiteering. Within 48 hours of taking over, Butler organized raids on more than 900 speakeasies, ordering them padlocked and, in many cases, destroyed. In addition to raiding the speakeasies, he also attempted to eliminate other illegal activities: bootlegging, prostitution, gambling and police corruption. More zealous than he was political, he ordered crackdowns on the social elite's favorite hangouts, such as the Ritz-Carlton and the Union League, as well as on drinking establishments that served the working class. Although he was effective in reducing crime and police corruption, he was a controversial leader. In one instance he made a statement that he would promote the first officer to kill a bandit and stated, "I don't believe there is a single bandit notch on a policeman's guns [sic] in this city, go out and get some." Although many of the local citizens and police felt that the raids were just a show, the raids continued for several weeks. He implemented programs to improve city safety and security. He established policies and guidelines of administration, and developed a Philadelphia police uniform that resembled that of the Marine Corps. Other changes included military-style checkpoints into the city, bandit chasing squads armed with sawed-off shotguns, and armored police cars. The press began reporting on the good and the bad aspects of Butler's personal war on crime. The reports praised the new uniforms, the new programs and the reductions in crime but they also reflected the public's negative opinion of their new Public Safety director. Many felt that he was being too aggressive in his tactics and resented the reductions in their civil rights, such as the stopping of citizens at the city checkpoints. Butler frequently swore in his radio addresses, causing many citizens to suggest his behavior, particularly his language, was inappropriate for someone of his rank and stature. Some even suggested Butler acted like a military dictator, even charging that he inappropriately used active-duty Marines in some of his raids. Major R. A. Haynes, the federal Prohibition commissioner, visited the city in 1924, six months after Butler was appointed. He announced that "great progress" had been made in the city and attributed that success to Butler. Eventually Butler's leadership style and the directness of actions undermined his support within the community. His departure seemed imminent. Mayor Kendrick reported to the press, "I had the guts to bring General Butler to Philadelphia and I have the guts to fire him." Feeling that his duties in Philadelphia were coming to an end, Butler contacted General Lejeune to prepare for his return to the Marine Corps. Not all of the city felt he was doing a bad job though and when the news started to break that he would be leaving, people began to gather at the Academy of Music. A group of 4,000 supporters assembled and negotiated a truce between him and the mayor to keep him in Philadelphia for a while longer, and the President authorized a one year extension for him. His second year focused on executing arrest warrants, cracking down on crooked police and enforcing prohibition. On January 1, 1926, his leave from the Marine Corps ended and the President declined a request for a third extension. Butler received orders to report to San Diego and he prepared his family and his belongings for the new assignment. In light of his pending departure, Butler began to defy the Mayor and other key city officials. On the eve of his departure, he had an article printed in the paper stating his intention to stay and "finish the job". The mayor was surprised and furious when he read the press release the next morning and demanded his resignation. After almost two years in office, Butler resigned under pressure, stating later that "cleaning up Philadelphia was worse than any battle I was ever in." In the old Marine tradition, when a Commandant retired or died, it was customary for the senior Marine Corps general to assume the position of Commandant while a new one was chosen. However, when Marine Corps commandant Major General Wendell C. Neville died July 8, 1930, Butler, at that time the senior major general in the Corps, was not appointed. Although he had significant support from many inside and outside the Corps, including John Lejeune and Josephus Daniels, two other Marine Corps generals were seriously considered for the post, Ben H. Fuller and John H. Russell. General Lejeune and others petitioned President Hoover, garnered support in the Senate and flooded then-Secretary of the Navy Charles Adams's desk with more than 2,500 letters of support. With the recent death of his influential father, however, Butler had lost much of his protection from his civilian superiors. The outspokenness that characterized his run-ins with the Mayor of Philadelphia, the "unreliability" mentioned by his superiors when opposing a posting to the Western Front, and his comments about Benito Mussolini resurfaced. Going against Marine Corps tradition, the position of Commandant went to Major General Ben H. Fuller and, at his own request, Butler retired from active duty on October 1, 1931. Even before retiring from the Corps, Butler began developing his post-Corps career. In May 1931, he took part in a commission established by Oregon Governor Julius L. Meier. The commission laid the foundations for the Oregon State Police. He began lecturing at events and conferences and after his retirement from the Marines in 1931, he took this up full-time. He donated much of his earnings from his lucrative lecture circuits to the Philadelphia unemployment relief. He toured the western United States, making 60 speeches before returning for his daughter's marriage to Marine aviator Lieutenant John Wehle. Her wedding was the only time that he wore his dress blue uniform after he left the Marines. He announced his candidacy for the U.S. Senate in the Republican primary in Pennsylvania in March 1932 as a proponent of the prohibition, known as a "dry". He allied with Gifford Pinchot, but they were defeated by Senator James J. Davis. During his Senate campaign, Butler spoke out forcefully about the veterans bonus. Veterans of World War I, many of whom had been out of work since the beginning of the Great Depression, sought immediate cash payment of Service Certificates granted to them eight years earlier via the World War Adjusted Compensation Act of 1924. Each Service Certificate, issued to a qualified veteran soldier, bore a face value equal to the soldier's promised payment, plus compound interest. The problem was that the certificates (like bonds), matured 20 years from the date of original issuance, thus, under extant law, the Service Certificates could not be redeemed until 1945. In June 1932, approximately 43,000 marchers—17,000 of which were World War I veterans, their families, and affiliated groups, who protested in Washington, D.C., in spring and summer of 1932. The Bonus Expeditionary Force, also known as the "Bonus Army", marched on Washington to advocate the passage of the "soldier's bonus" for service during World War I. After Congress adjourned, bonus marchers remained in the city and became unruly. On July 28, 1932, two bonus marchers were shot by police, causing the entire mob to become hostile and riotous. The FBI, then known as the United States Bureau of Investigation, checked its fingerprint records to obtain the police records of individuals who had been arrested during the riots or who had participated in the bonus march. The veterans made camp in the Anacostia flats while they awaited the congressional decision on whether or not to pay the bonus. The motion, known as the Patnum bill, was decisively defeated, but the veterans stayed in their camp. Butler arrived with his young son Thomas, in mid July the day before the official eviction by the Hoover administration. He walked through the camp and spoke to the veterans; he told them that they were fine soldiers and they had a right to lobby Congress just as much as any corporation. He and his son spent the night and ate with the men, and in the morning Butler gave a speech to the camping veterans. He instructed them to keep their sense of humor and cautioned them not to do anything that would cost public sympathy. On July 28, army cavalry units led by General Douglas MacArthur dispersed the Bonus Army by riding through it and using gas. During the conflict several veterans were killed or injured and Butler declared himself a "Hoover-for-Ex-President-Republican". He became widely known for his outspoken lectures against war profiteering, U.S. military adventurism, and what he viewed as nascent fascism in the United States. In December 1933, Butler toured the country with James E. Van Zandt to recruit members for the Veterans of Foreign Wars (VFW). He described their effort as "trying to educate the soldiers out of the sucker class." In his speeches he denounced the Economy Act of 1933, called on veterans to organize politically to win their benefits, and condemned the FDR administration for its ties to big business. The VFW reprinted one of his speeches with the title "You Got to Get Mad" in its magazine Foreign Service. He said: "I believe in...taking Wall St. by the throat and shaking it up." He believed the American Legion was controlled by banking interests. On December 8, 1933, explaining why he believed veterans' interests were better served by the VFW than the American Legion, he said: "I said I have never known one leader of the American Legion who had never sold them out–and I mean it." In November 1934, Butler told the committee that a group of businessmen, saying they were backed by a private army of 500,000 ex-soldiers and others, intended to establish a fascist dictatorship. Butler had been asked to lead it, he said, by Gerald P. MacGuire, a bond salesman with Grayson M–P Murphy & Co. The New York Times reported that Butler had told friends that General Hugh S. Johnson, a former official with the National Recovery Administration, was to be installed as dictator. Butler said MacGuire had told him the attempted coup was backed by three million dollars, and that the 500,000 men were probably to be assembled in Washington, D.C. the following year. All the parties alleged to be involved, including Johnson, said there was no truth in the story, calling it a joke and a fantasy. In its report, the committee stated that it was unable to confirm Butler's statements other than the proposal from MacGuire, which it considered more or less confirmed by MacGuire's European reports. No prosecutions or further investigations followed, and historians have questioned whether or not a coup was actually close to execution, although most agree that some sort of "wild scheme" was contemplated and discussed. The news media initially dismissed the plot, with a New York Times editorial characterizing it as a "gigantic hoax". When the committee's final report was released, the Times said the committee "purported to report that a two-month investigation had convinced it that General Butler's story of a Fascist march on Washington was alarmingly true" and "... also alleged that definite proof had been found that the much publicized Fascist march on Washington, which was to have been led by Major. Gen. Smedley D. Butler, retired, according to testimony at a hearing, was actually contemplated". In June 1940, Butler checked himself into the hospital after becoming sick a few weeks earlier. His doctor described his illness as an incurable condition of the upper gastro-intestinal tract that was probably cancer. His family remained by his side, even bringing his new car so he could see it from the window. He never had a chance to drive it. On June 21, 1940, Smedley Butler died in the Naval Hospital in Philadelphia. The funeral was held at his home, attended by friends and family as well as several politicians, members of the Philadelphia police force and officers of the Marine Corps. He was buried at Oaklands Cemetery in West Chester, Pennsylvania. Since his death in 1940, his family has maintained his home as it was when he died, including a large amount of memorabilia he had collected throughout his varied career. While the United States has pumped billions of dollars into failed drug eradication schemes in target countries through ill-conceived programs such as Plan Colombia and the Mérida Initiative, in the bizarro world of the "War on Drugs," corporate interests and geopolitics always trump law enforcement efforts to fight organized crime, particularly when the criminals are partners in crimes perpetrated by the secret state. Since 2006, when Mexican President Felipe Calderón turned the Army loose, allegedly to "dismantle" the drug cartels slowly transforming Mexico into a killing field some 28,000 people, primarily along Mexico's northern border with the U.S., have lost their lives. Countless others have been wounded, forced to flee or simply "disappeared." Writing in The Guardian, journalist Simon Jenkins tells us that "cocaine supplies routed through Mexico have made that country the drugs equivalent of a Gulf oil state." "Rather than try to stem its own voracious appetite for drugs," Jenkins writes, "rich America shifts guilt on to poor supplier countries. Never was the law of economics--demand always evokes supply--so traduced as in Washington's drugs policy. 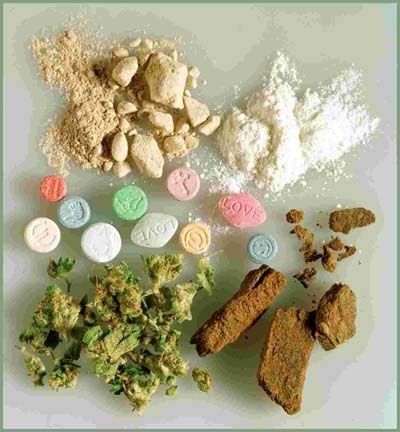 America spends $40bn a year on narcotics policy, imprisoning a staggering 1.5m of its citizens under it." • December 13, 2009: The Observer reported that "drugs money worth billions of dollars kept the financial system afloat at the height of the global crisis." Antonio Maria Costa, head of the UN Office on Drugs and Crime, said he saw evidence that "the proceeds of organised crime were 'the only liquid investment capital' available to some banks on the brink of collapse last year. He said that a majority of the $352bn (£216bn) of drugs profits was absorbed into the economic system as a result." The Observer informed us that this "will raise questions about crime's influence on the economic system at times of crisis." Costa told the British newspaper that "in many instances, the money from drugs was the only liquid investment capital. In the second half of 2008, liquidity was the banking system's main problem and hence liquid capital became an important factor." Although the UN's drug czar declined to identify the countries or banks that benefited from narcotics investments, he said that "inter-bank loans were funded by money that originated from the drugs trade and other illegal activities... There were signs that some banks were rescued that way." • February 26, 2010: Responding to charges by left-wing critics and academics, Mexican president Felipe Calderón was forced to counter evidence that his government's "offensive" against narcotraffickers has left the "largest and most powerful of the cartels relatively unscathed," the Los Angeles Times disclosed. Critics accused the government of favoritism towards the Sinaloa cartel, claiming it "has been allowed to escape most of the government's firepower and carry on with its illegal business as usual." During a news conference, Calderón said such charges were "absolutely false." The president said the suggestion was "painful," and went on to say: "I can assure you that this government has attacked without discrimination all criminal groups in Mexico ... without taking into consideration whether it's the cartel of so-and-so or what's-his-name. We've fought them all." Edgardo Buscaglia, an academic expert on organized crime challenged the president and said that arrest figures "skew heavily" toward the other cartels. "By his calculation," the Times reported, "of more than 53,000 people arrested in drug-trafficking cases in the three years since Calderón took office, fewer than 1,000 worked for the Sinaloa organization." Commanded by Joaquín "El Chapo" Guzmán, the Sinaloa cartel crime boss placed 937 on Forbes 2010 survey of the world's billionaires with an estimated net worth of $1 billion. A similar modus operandi is standard practice where foreign policy and corporate concerns of America's wealthiest clients overseas override efforts by law enforcement to choke-off the flow of narcotics. In Colombia, secret state agencies such as the CIA have long-favored drug organizations that have served as intelligence assets or death squads. Examples abound. Consider the "untouchable" status enjoyed by the Rodríguez Orejuela brothers' Cali cartel. During the 1980s, at the height of America's Central American interventions, cocaine shipped into the United States as part of the U.S. government's "guns-for-drugs" arrangement with Nicaraguan Contra rebels, was principally supplied by Cali traffickers. When Medellín drug lord Pablo Escobar's group was brought down, the CIA, DEA and the Pentagon's Delta Force relied on operatives funded by the rival Cali faction and Los Pepes, a vigilante group founded by drug lord Carlos Castaño and his brothers Fidel and Vicente. Los Pepes had operational links to the Colombian National Police, especially the Search Bloc (Bloque de Búsqueda) hunting Escobar, and acted on intelligence provided by the CIA/DEA/Delta Force to execute their missions. After Escobar's death, the Castaño brothers launched the United Self-Defense Forces of Colombia (AUC), a notorious right-wing death squad. The AUC in coordination with the Colombian Army, carried out multiple attacks and massacred thousands of leftists, trade union organizers and peasant activists. In 2001 under pressure from human rights groups, the U.S. State Department designated the AUC a "Foreign Terrorist Organization." This didn't however, prevent U.S. corporations such as Chiquita Brands International, Occidental Petroleum, Coca-Cola or the Drummond Company from allegedly hiring out AUC paramilitaries to murder trade union and peasant activists. In 2007, Chiquita pled guilty in federal district court and paid a $25 million fine under provisions of the Anti-Terrorism Act of 1991 for funding the AUC. Dole Food Company now faces similar charges. In 2002, the Justice Department unsealed an indictment against Carlos Castaño and accused him of trafficking some 17 tons of cocaine into the United States. • March 9, 2010: The National Security Archive published a series of documents linking the U.S. secret state to Mexico's dirty warriors and drug cartel operatives under official protection by a CIA-allied intelligence agency. Following reporting by Peter Dale Scott that "both the FBI and CIA intervened in 1981 to block the indictment (on stolen car charges) of the drug-trafficking Mexican intelligence czar Miguel Nazar Haro, claiming that Nazar was 'an essential repeat essential contact for CIA station in Mexico City,' on matters of 'terrorism, intelligence, and counterintelligence'," the National Security Archive disclosed that Nazar Haro's corrupt Dirección Federal de Seguridad (DFS) was responsible for the disappearance, torture and murder of left-wing activists during the 1970s and '80s. The Archive revealed that "there is a deep connection between the former Mexican intelligence service and the country's drug mafias. As DFS agents took command of counterinsurgency raids in the 1970s, they often stumbled upon narcotics safe houses and quickly took on the job of protecting Mexico's drug cartels." Researchers Kate Doyle and Jesse Franzblau told us although "the DFS was disbanded in 1985 following revelations that it was behind the murder of DEA agent Enrique 'Kiki' Camarena, and Mexican journalist Manuel Buendia," of the 1,500 agents who suddenly found themselves unemployed, many "found their training in covert activities and brutal counterinsurgency operations easily adaptable to the needs of the criminal underworld." In 2006, the National Security Archive and investigative journalist Jefferson Morley disclosed that declassified U.S. documents "reveal CIA recruitment of agents within the upper echelons of the Mexican government between 1956 and 1969. The informants used in this secret program included President Gustavo Díaz Ordaz and future President Luis Echeverría." As we now know, when he served as Interior Secretary in the Díaz government, Echeverría oversaw the 1968 Tlatelolco massacre of student activists just days before the Summer Olympics were staged in Mexico City. "The documents," Morley wrote, "detail the relationships cultivated between senior CIA officers, such as chief of station Winston Scott, and Mexican government officials through a secret spy network code-named 'LITEMPO.' Operating out of the U.S. Embassy in Mexico City, Scott used the LITEMPO project to provide 'an unofficial channel for the exchange of selected sensitive political information which each government wanted the other to receive but not through public protocol exchanges'." These, and other disclosures reveal that "one of the most crime-ridden CIA assets we know of is the Mexican DFS, which the US helped to create," Peter Dale Scott wrote back in 2000. "From its foundation in the 1940s, the DFS, like other similar kryptocracies in Latin America, was deeply involved with international drug-traffickers. By the 1980s possession of a DFS card was recognized by DEA agents as a 'license to traffic;' DFS agents rode security for drug truck convoys, and used their police radios to check of signs of American police surveillance." Evidence suggests that similar protection and management of the global drug trade persists today. • March 16, 2010: Wachovia Bank, a subsidiary of banking giant Wells Fargo & Co., signed a Deferred Prosecution Agreement with the federal government. Wells admitted in court that its unit failed to monitor and report some $378.4 billion in suspected money laundering transactions by narcotics traffickers between 2004-2008, "a sum equal to one-third of Mexico's current gross domestic product," Bloomberg Markets magazine revealed. Cash laundered by drug mafias were used to purchase a fleet of planes that subsequently shipped some 22 tons of cocaine into the United States. Wells paid the government $160 million to resolve the case. American Express Bank and Western Union also agreed recently to huge settlements with the government for similar offenses. • May 19, 2010: Retired Mexican Army General Mario Arturo Acosta Chaparro was shot and wounded in Mexico City during an alleged robbery attempt. El Universal reports that police claimed that a thief wanted to "steal the general's watch" and shot him several times in the chest. In 2007, after a six-year imprisonment on charges of providing protection to late drug trafficking kingpin Amado Carrillo Fuentes, chief of the Juárez cartel and self-described "Lord of the Heavens," Acosta Chaparro was released from custody after his conviction was overturned on appeal. According to documents published by global whistleblowers WikiLeaks in 2009, the Swiss Bank Julius Baer's Cayman Islands unit, allegedly hid "several million dollars" of funds controlled by Acosta Chaparro and his wife, Silvia through a firm known as Symac Investments. WikiLeaks wondered whether Mexican authorities would "want to know whether the several millions of USD had anything to do with the allegations that Mr Chaparro, a former police chief from the Mexican state of Guerrero, stopped chasing his local drug dealers and joined them in business." According to reports cited by WikiLeaks, Acosta Chaparro was "already the subject of multiple allegations not only that he was a narcotrafficker but also that he had played a leading role in the dirty war of police and army against rural guerillas on his patch between 1975 and 1981. He was accused of organising the seizure, torture and murder of peasants who were suspected of helping the rebels and, with particular persistence of overseeing 'flights of death' in which well-tortured detainees were taken up in helicopters and pushed out over the ocean while still alive." Despite these serious charges, WikiLeaks informs us that "no action was taken at all [and] Chaparro's funds might still be managed by the former representative of Julius Baer, Mexico Curtis Lowell Jun in Zurich." • June 7, 2010: Guerrero State Attorney General Albertico Guinto announced that 55 bodies were found deep in an abandoned silver mine outside Taxco, The Christian Science Monitor reported. In various states of decomposition, the victims showed signs of torture before being killed. "It was like a quicksand, but filled with bodies," Luis Rivera, the chief criminologist investigating the scene told The Washington Post. The recovery of the remains took nearly a week, "a task made more difficult" by the fact that some cadavers were mummified, others were dismembered by the fall and at least four of the victims had been decapitated. "There are headless bodies, but some of the heads don't match the bodies," Rivera said. Based on wound analysis of the corpses, investigators theorized that "many of the victims were alive when they were thrown down the mine shaft." • June 12, 2010: The Narco News Bulletin reports "a special operations task force under the command of the Pentagon is currently in place south of the border providing advice and training to the Mexican Army in gathering intelligence, infiltrating and, as needed, taking direct action against narco-trafficking organizations." A "former U.S. government official who has experience dealing with covert operations," told journalist Bill Conroy that "black operations have been going on forever. The recent [mainstream] media reports about those operations under the Obama administration make it sound like it's a big scoop, but it's nothing new for those who understand how things really work." Perhaps we should recall how "things" have worked in the recent past. Back in 2003, the Brownsville Herald reported that Los Zetas, formerly the enforcement arm of the Gulf cartel, "feature 31 ex-soldiers once part of an elite division of the Mexican army, the Special Air Mobile Force Group. At least one-third of this battalion's deserters was trained at the School of the Americas in Fort Benning, Ga., according to documents from the Mexican secretary of defense." According to the U.S. Defense Department, some 513 Mexican Special Forces soldiers received training at the School of the Americas, and about 120 "graduates" joined the Special Air Mobile Force. Luis Astorga, a drug trafficking expert at the National Autonomous University in Mexico City told the Herald: "There is a higher level of danger with the type of knowledge that these people have, their arms capacity, their knowledge of techniques and specialization in (drug) traffic operations. Traffickers traditionally don't have that; they pay other people for those services." Is history repeating itself under the Mérida Initiative? A former DEA official told Narco News in 2005 that "A lot of the Zetas came from former Mexican police offices or the military ... So they come from a diverse background. Some of them have prior training from the DEA, FBI and the U.S. military, as well as other agencies." • July 15, 2010: Investigative journalist Daniel Hopsicker revealed that the pilot "of the American-registered DC-9 (N900SA) from St. Petersburg, FL caught carrying 5.5 tons of cocaine in Mexico's Yucatan several years ago," Carmelo Vasquez Guerra, "had been released from prison less than two years after being arrested." Readers will recall that the DC-9 and another American-registered plane, a Gulfstream II business jet (N987SA) that spilled "4 tons of cocaine across a muddy field," Hopsicker reported, were used in CIA "rendition" (torture) flights and had been purchased by Mexican drug gangs with funds laundered through Wachovia Bank. "The shocking news was delivered via an international headline stating that a pilot named Carmelo Vasquez Guerra had been arrested in the West African nation of Guinea Bissau on a twin-engine Gulfstream II carrying... what else? 550 kilos--a half-ton--of cocaine." According to Hopsicker, the drug pilot was arrested--and released--from three countries "under mysterious and unexplained circumstances." Seeking answers to the pilot's series of seemingly miraculous escapes, Hopsicker drolly observed: "Maybe there is an innocent explanation for everything. Maybe drugs just show up, unbidden, like unwanted guests. And maybe Carmelo Vasquez Guerra didn't escape each time he got busted. Maybe he just 'released himself on his own recognizance'." • July 18, 2010: In the wake of the massacre of 17 people attending a birthday party in the northern city of Torreon, The Christian Science Monitor revealed that inmates from a prison in the nearby city of Gomez Palacio were the authors of the crime. "According to witnesses, the inmates were allowed to leave with authorization of the prison director ... to carry out instructions for revenge attacks using official vehicles and using guards' weapons for executions," said Ricardo Najera, a spokesman from the attorney general's office. After the atrocity, inmates drove back to their cells. • July 20, 2010: Following the Juárez car bomb blast that killed four, U.S. Ambassador to Mexico Arturo Sarukhan, downplayed it's significance and claimed, though disturbing, violence "has not yet reached the level of terrorism," The Washington Post reported. "Terrorism," the U.S. ambassador said, "refers to the acts by groups with political objectives that seek to control the government." But what if those with "political objectives" and limitless funds from the illicit trade already control the state's security apparatus? • July 25, 2010: Of the more than 28,000 people killed since December 2006 when President Felipe Calderón "hurled the Mexican Army into the anti-cartel battle," nearly 6,300 (a quarter of the total) were murdered in Ciudad Juárez, The Nation reports. Under a three year deal, the United States has bankrolled the Army offensive with some $1.4 billion in funds under the Mérida Initiative. Journalists Charles Bowden and Molly Molloy wrote in response to Ambassador Sarukhan's statement: "We are supposed to believe in their evidence that 90 percent of the dead are criminals, but that they have no evidence at all of narco-terrorism?" Bowden and Molloy aver, "This, despite numerous incidents of grenades and other explosives being used in recent attacks in the states of Michoacan, Nuevo León, Tamaulipas, Guerrero, Sonora and many other places in Mexico. And that 'armed commandos' dressed like soldiers and wielding high-powered machine guns are witnessed at the scenes of hundreds of massacres documented since 2008." According to expert Diego Valle, the steep rise in homicide rates correlate directly to increased military operations against some cartels. In his recent study, Statistical Analysis and Visualisation of the Drug War in Mexico, Valle writes that "military operations in Chihuahua, Nuevo León, Veracruz and Durango have coincided with increases in homicides and attempts by the Sinaloa cartel to take over drug trafficking routes from rival cartels. After the army took control of Ciudad Juárez it became the most violent city in the world." • July 27, 2010: Building on alliances forged during the Cold War amongst right-wing political gangs and drug traffickers, cartel operations in Central America have soared, The Washington Post informs us. Since 2006, drug networks in Guatemala, El Salvador and Honduras "are burrowing deeper into a region with the highest murder rates in the world." According to United Nations data, cocaine seizures in Central America "nearly quadrupled" between 2004 and 2007. "Over the past two years," the Post reports, "two national police chiefs and the former president have been arrested on charges related to drug trafficking or corruption. Two former interior ministers are fugitives." In Honduras, where a U.S.-sponsored coup toppled a democratically elected president in 2009, Mexican cartels have established "command-and-control" centers to coordinate cocaine shipments by sea and air to North America and Europe. In El Salvador, that country's leftist president has said that the violent street gang, Mara Salvatrucha (MS-13), have forged a working relationship with drug cartels that could eventually help the group mature into "an international syndicate." • August 22, 2010: Journalist Bill Conroy reports in The Narco News Bulletin that despite surging violence in Ciudad Juárez, the murder-plagued city "where some 10,000 small businesses have closed their doors since 2008 due, in large part, to a wave of burglaries, kidnappings, extortion and murders that has washed over the city during the past two and a half years," why is the violence not affecting the entire city? Conroy writes "there is often an exception to most rules, and in the case of Juárez, the rule of violence does not extend to its industrial zones, which are home to some 360 maquiladora factories that employ more than 190,000 people." According to a report obtained by Narco News from the El Paso Regional Economic Development Corporation, or REDCO, "there was only one homicide carried out in the maquila industrial zones" since 2008. "That's right," Conroy avers, "just one murder in this huge swath of Juárez that is dotted with maquila plants operated by huge corporations such as General Motors, Delphi, Motorola, Visteon, TECMA and Honeywell. Maquiladoras, also known as twin plants, are Mexico-based factories owned and/or operated by foreign companies that benefit from the cheap labor and favorable tax treatment." REDCO officials refused to comment to Narco News. 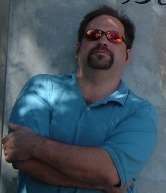 However, Conroy writes, TECMA executive vice president Toby Spoon told ABC's El Paso affiliate KVIA that "If they [the narco-trafficking organizations] got the maquila industry, or American companies or foreign companies, if they became targets of this, it would just take it to a whole different level, and nobody wants that." Isn't that an interesting statement! "So it would appear, based on that comment," Conroy writes, "that the narco-trafficking organizations, the Mexican government and the maquila factory owners have some sort of unspoken alliance of convenience that assures protection for the maquila factories and their professional employees." Indeed, Narco News discovered that "at last three security zones have been set up in Juárez that are guarded by Mexican soldiers who assure safe passage for Maquila executives commuting from El Paso to the Juárez factory sites. In addition, the maquila industrial zones themselves, according to media reports, are under the close watch of Mexican state police as well as private security guards employed by the maquilas." This is the same Army and federal police force that is seemingly "powerless" to halt the slaughter of Juárez citizens by ubiquitous, yet invisible, drug gangs which have transformed that city, and northern Mexico, into a free-fire zone. Curious indeed! • August 25, 2010: A wounded Ecuadorean migrant stumbled to a Mexican Marine checkpoint in the northern state of Tamaulipas and leads officials to a blood-splashed room. Inside, authorities discover the bodies of 58 men and 14 women, allegedly murdered by Los Zetas, or another cartel seeking to discredit their rivals. "Years ago," IPS reported, "Los Zetas found a gold mine: kidnapping undocumented migrants." The UN estimates that some half million undocumented migrants from Central and South America "cross Mexico from south to north every year in their attempt to reach the United States." And more than 10,000 were kidnapped between September 2009 and February 2010 according to Mexico's National Human Rights Commission. According to multiple press reports, the migrants were killed after they refused to serve as forced labor for Los Zetas. • August 26, 2010: A veteran officer with the U.S. Customs and Border Protection service (CBP), a satrapy within the sprawling Department of Homeland Security, Martha Alicia Garnica, 43, was sentenced to 20 years in prison for drug trafficking, human smuggling and bribery. "Three other defendants," the Center for Investigative Reporting disclosed, received prison sentences, ranging from two years to a little more than five years. A fourth defendant was murdered in February in Juárez." • August 27, 2010: "Federal prosecutors," The Nation revealed, "have used top leaders of Mara Salvatrucha (MS-13), known as the most violent gang in the US and Central America, as secret informants over a decade of murders, drug-trafficking and car-jackings across a dozen US states and several Central American countries." Former California state senator Tom Hayden told us that "the informants are identified as Nelson Comandari, described by law enforcement as 'the CEO of Mara Salvatrucha,' and his self described 'right hand man,' Jorge Pineda, nicknamed 'Dopey' because of his drug-dealing background." According to The Nation, Comandari's grandfather "was Col. Agustin Martinez Varela, a powerful right-wing Salvadoran who served as an interior minister during El Salvador's civil wars. Comandari's uncle, Franklin Varela, was a central informant in the Reagan administration's scandalous investigation into the activist Committee in Solidarity with the People of El Salvador [CISPES]." In his 1998 written testimony to the House Permanent Select Committee on Intelligence, retired DEA Special Agent Celerino Castillo III told Congress that "while our government shouted 'Just Say No ! ', entire Central and South American nations fell into what are now known as, 'Cocaine democracies'." Castillo testified: "On Jan. 18, 1985, [retired CIA officer Felix] Rodriguez allegedly met with money-launderer Ramon Milan-Rodriguez, who had moved $1.5 billion for the Medellin cartel. Milan testified before a Senate Investigation on the Contras' drug smuggling, that before this 1985 meeting, he had granted Felix Rodriguez's request and given $10 million from the cocaine for the Contras." Contra drug operations were coordinated by the CIA out of El Salvador's Ilopango airport and protected from prying eyes, and U.S. law enforcement investigators, by troops drawn from by Col. Varela's interior ministry. According to the National Security Archive's Oliver North File, "Mr. North's diary entries, from the reporter's notebooks he kept in those years, noted multiple reports of drug smuggling among the contras. A Washington Post investigation published on 22 October 1994 found no evidence he had relayed these reports to the DEA or other law enforcement authorities." • August 31, 2010: The entire 2,000 mile U.S.-Mexico border will be monitored by Predator drones. Part of a $600 million package passed by Congress earlier this year, Homeland Security Secretary Janet Napolitano said the border was now "safer than ever." • August 31, 2010: Some 3,200 Mexican federal police, "nearly a tenth of the force," have been fired this year "under new rules designed to weed out crooked cops and modernize law enforcement," the Los Angeles Times reports. Amongst the 465 cops arrested in early August, federal authorities took four commanders into custody after 250 subordinates in violence-plagued Ciudad Juárez publicly accused them of corruption. • September 6, 2010: The Los Angeles Times reports that "drug traffickers who siphon off natural gas, gasoline and even crude, rob the Mexican treasury of hundreds of millions of dollars annually." The newspaper disclosed that "the cartels have taken sabotage to a new level: They've hobbled key operations in parts of the Burgos Basin, home to Mexico's biggest natural gas fields." Times' journalist Tracy Wilkinson writes that "the world's seventh-largest oil producer has become another casualty of the drug war." A series of kidnappings and murders in the gas-rich region has curtailed production. Pemex officials refused to comment and have sought to "repress information on the kidnappings." Despite a massive outcry by Mexico's citizens against moves by the Calderón administration to privatize Pemex, which generates some $77 billion in annual revenue, Chevron's Latin American operations chief Ali Moshiri told the Houston Chronicle that the company wants to make Mexico "a big part of our portfolio." In this light, violence against Pemex workers and crippled production is nothing more than an odd coincidence, right? • September 8, 2010: Speaking at the elite Council on Foreign Relations in Washington, U.S. Secretary of State Hillary Rodham Clinton claimed that Mexico's drug cartels "increasingly resemble an insurgency with the power to challenge the government's control of wide swaths of its own soil," the Los Angeles Times reported. Comparing Mexico to Colombia, Clinton's comments reflect past U.S. claims that Colombia's well-entrenched drug mafias were part of a leftist "narcoguerrilla" strategy to topple the government. This is a mendacious comparison given rich evidence that for decades Colombia's leading mafia groups are allied with extreme right-wing forces in that country's political establishment. Declassified U.S. documents revealed that former President Álvaro Uribe, enjoyed close ties to drug-linked paramilitary organizations. A darling of the Pentagon and the American secret state, according to multiple press reports and documents obtained under the Freedom of Information Act by the National Security Archive, when Uribe was mayor of Medellín, the epicenter of Pablo Escobar's narcoempire, the now-dead mafia boss's former lover Virginia Vallejo, told the Spanish paper El País: "Pablo used to say, that if it weren't for that blessed little boy [Uribe], we would have to swim to Miami to get drugs to the gringos." According to Vallejo, when Uribe was the director of Colombia's Civil Aviation authority, he granted dozens of licenses for runways and hundreds of permits for planes and helicopters, on which the drug trade's infrastructure was built. The 1991 document by the Pentagon's Defense Intelligence Agency noted that Uribe was a "close personal friend of Pablo Escobar" who was "dedicated to collaboration with the Medellín [drug] cartel at high government levels." • September 10, 2010: Seeking to calm a "diplomatic furor" over recent comments by Secretary of State Hillary Clinton that Mexico "resembled Colombia" during the heyday of cartel power, President Obama disputed Clinton's assertion, the Los Angeles Times reported. In what could generously be described as a replay of President Ronald Reagan's repeated denials that right-wing Nicaraguan Contra "rebels" were deeply mired in cocaine trafficking, Obama said that "Mexico is a great democracy, vibrant, with a growing economy," the president told the Spanish-language La Opinion newspaper. "And as a result, what is happening there can't be compared with what happened in Colombia 20 years ago." Human rights abuses are widespread. According to Amnesty International, political dissidents, environmentalists, trade union activists and indigenous human rights defenders are routinely disappeared, tortured or murdered with impunity. • September 12, 2010: An in-depth Washington Post profile of convicted U.S. Customs and Border Patrol officer Martha Garnica, sentenced in August for drug smuggling and human trafficking along the border, revealed that "the number of CBP corruption investigations opened by the inspector general climbed from 245 in 2006 to more than 770 this year." The Post reports that "corruption cases at its sister agency, U.S. Immigration and Customs Enforcement, rose from 66 to more than 220 over the same period." The vast majority of cases involve "illegal trafficking of drugs, guns, weapons and cash across the Southwest border." Although Garnica received a 20-year sentence for her crimes, not a single criminal indictment has been issued by the U.S. Justice Department for crimes committed by top corporate officers of Wells Fargo-owned Wachovia Bank, who admitted earlier this year to laundering hundreds of billions of dollars for Mexico's ultra-violent drug mafias. Aside from Bloomberg Markets magazine's comprehensive investigation, neither the Post, nor other U.S. "newspaper of record" reported on the bank's "deferred prosecution agreement" with the federal government. • September 15, 2010: Writing in The Nation, investigative journalist Jeremy Scahill revealed that the private security firm Blackwater "have provided intelligence, training and security services to US and foreign governments as well as several multinational corporations." According to Scahill, "former CIA paramilitary officer Enrique 'Ric' Prado, set up a global network of foreign operatives, offering their 'deniability' as a 'big plus' for potential Blackwater customers." While Blackwater's mercenary network was originally created to service CIA black ops, Prado wrote an email to a Total Intelligence executive (a Blackwater cut-out) with the subject line, "Possible Opportunity in DEA-Read and Delete," a pitch to the Drug Enforcement Administration. The Nation reports "that executive was an eighteen-year DEA veteran with extensive government connections." Prado explained that Blackwater "has developed 'a rapidly growing, worldwide network of folks that can do everything from surveillance to ground truth to disruption operations.' He added, 'These are all foreign nationals (except for a few cases where US persons are the conduit but no longer 'play' on the street), so deniability is built in and should be a big plus'." According to Scahill, the executive wrote back and suggested that "one of the best places to start may be the Special Operations Division, (SOD)." Scahill writes that "the SOD is a secretive joint command within the U.S. Justice Department, run by the DEA" and serves "as the command-and-control center for some of the most sensitive counternarcotics and law enforcement operations conducted by federal forces." As we have seen with other clandestine operations run amok in the drug war, "deniable" assets, especially when they are "foreign nationals" with no direct ties to the U.S. government, have a funny habit of lending their well-compensated "expertise" to drug traffickers. One is reminded of the case of Israeli mercenary Yair Klein, a former IDF lieutenant colonel. Klein's private security firm, Spearhead Ltd., produced training videos and tutored drug lord Carlos Castaño's AUC in the fine art of murder. In 2001, Klein was convicted by a Colombian court for his firm's work with right-wing death squads and the enforcement arms of several drug trafficking organizations. According to Democracy Now!, Klein was "accused of training Mafia assassins" and "suspected of involvement in the explosion of a Colombian airliner in November 1989." Given Blackwater's sensitivity to human rights (just ask Baghdad residents!) one can be certain that the mercenary firm's interest in the drug war will assure Mexico's citizens that help is on the way! It should be clear: the "War on Drugs" like the "War on Terror" is a colossal, multibillion dollar fraud perpetrated on the American people. Corporate media collaborate in this charade; pointing the finger at black and brown citizens, white elites on both sides of the border escape scrutiny. It is far easier to demonize black and brown youth as "predators" than to take a hard look in the mirror at a ruling class that are the real American drug lords. Breaking: Ron Paul On FEMA Camps!